News about spreading Ebola widely across the globe is being there for some time. CNN report states that a nurse’s aide in Spain catches Ebola; her dog is taken away and put to death. A nurse in Texas catches Ebola; her dog is fed, taken away and put into quarantine. The stark difference in both the treatments illustrate the lack of solid protocol on what to do with Ebola victims’ pets — and highlights what little is known about the risk. There are many cases coming forward where people are not ready to leave their homes because they couldn’t bring their animals to a shelter during the outbreak of Ebola epidemic. Moreover, health care workers and government officials fear that if people are afraid that their dogs are going to be killed, they might like to stay away even if they are starting to show some symptoms. Can pets spread or get Ebola? The center for diseases control and prevention states that at present, there have been no reports of dogs or cats becoming victims of Ebola or are host of transmitting Ebola disease to humans or other animals. Furthermore, studies have shown that some dogs may have Ebola virus but they don’t show any specific symptoms or fall sick. All the agencies come up the same conclusion that human infections haven’t been linked to dogs. Humans are infected through certain risk activities that include direct contact with infected human body fluids or through bats or through consumption of infected wild meat. However, there are no specific results showing that a pet’s body, fur or paws can pick up and spread Ebola to other animals or people. From the above two statements conclude that infected animals that are not showing any symptoms of Ebola infection can potentially be capable of spreading virus in humans. Do you need to worry about your pets getting Ebola? “Not at all!” said Dr. William Schaffner, chair of preventative medicine at Vanderbilt University. The disease is much concerned to spread in humans rather than in pets. Reports show that this virus can circulate in animals but pets have not been a carrier of Ebola spread, certainly not in the developed world. Moreover, Dr.William Schaffner added that the attention in Spain to the dog of the person who was ill was ill-advised and was in fact a distraction. As a pet partner and a lover of pets, PetCareSupplies likes to share this important happening with pet parents. 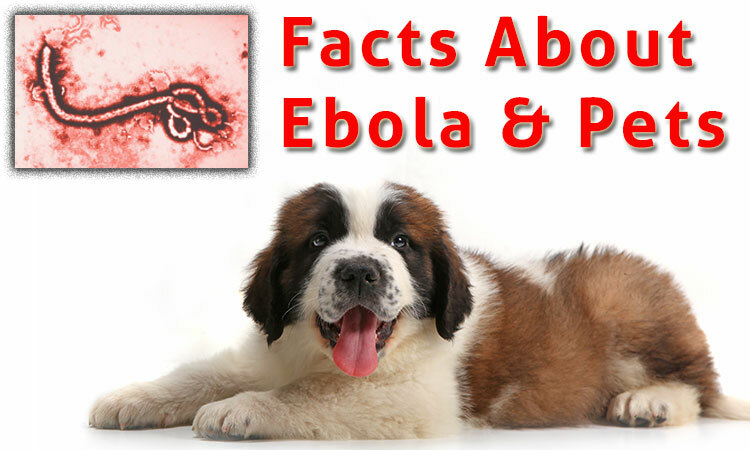 Your pet is safe from Ebola virus and certainly can’t spread the epidemic. But, it’s always on a safe side that you visit your vet for your pet’s health checkup. It’s also important that you take precautionary methods to help fight this virus and safeguard your family and pets. Happy and healthy pets – is our vision and concern.